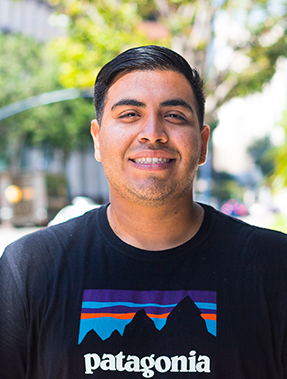 At eighteen, Christopher Melendez was going through a personal and spiritual desert until he fully gave his life to Jesus after a youth retreat. Now he looks forward to transferring to Point Loma Nazarene University to study Theology/Philosophy/Music. He serves for the worship team at Bethel Church San Diego where he loves playing the piano. He feels the Lord spoke to Him though Isaiah 42:6. After prayer and fasting, he resigned his previous position to serve with Urban Youth Collaborative.